“In a hole in the ground there lived a hobbit.” With these words the Oxford professor J.R.R. 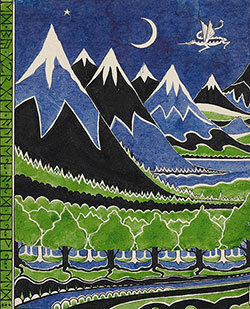 Tolkien ignited a fervid spark in generations of readers. From the children’s classic The Hobbit to the epic The Lord of the Rings, Tolkien’s adventurous tales of hobbits and elves, dwarves and wizards have introduced millions to the rich history of Middle-earth.